PLEASE CHECK THE BOTTOM OF THIS PAGE FOR AN EXTENSIVE COLLECTION OF EVIDENCE BASED FACTS REGARDING THIS ISSUE.This page has been erected specifically to collect factual data that contradicts the official global warming explanation(s). The following short Carbon Tax video is probably one of the best evidence based summaries to prove that the carbon tax is nothing more than the transfer of wealth to the obscenely rich. Further Carbon-sense has additonal facts and figures. T.L. Cardwell is a qualified individual who has spent 25 years in the electricity Commission of NSW Australia working, commissioning and operating the various power units. The last was the 4 X 350 MW Munmorah Power Stations near Newcastle in Australia. Mr Cardwell is one of he many qualified observers who can provide facts to support the reality that "junk" science is being used to impose this transfer of wealth. There have been many untruths about carbon dioxide emissions, thermal coal fired power stations and renewable energy and the ridiculous Emissions Trading Scheme. The following explanation is a brilliant short and simple way to understand the redundancy of the emissions Trading Scheme.There is much frustration in australia at the lies told (particularly during the election) about global pollution. Using Power Station cooling towers for an example. The condensation coming from those cooling towers is as pure as that comes out of any kettle.Frustration about the so-called incorrectly named man-made 'carbon emissions' which of course is Carbon Dioxide emissions and what it is supposedly doing to our planet.Frustration about the lies told about renewable energy and the deliberate distortion of renewable energy and its ability to replace fossil fuel energy generation. And frustration at the ridiculous carbon credit programme which is beyond comprehension.And further frustration at some members of the public who have not got a clue about thermal Power Stations or Renewable Energy. Quoting ridiculous figures about something they clearly have little or no knowledge of. First coal fired power stations do NOT send 60 to 70% of the energy up the chimney. The boilers of modern power station are 96% efficient and the exhaust heat is captured by the economisers and reheaters that heat the air and water before entering the boilers.The very slight amount exiting the stack is moist as in condensation and CO2. There is virtually no fly ash because this is removed by the precipitators or bagging plant that are 99.98% efficient. The 4% lost is heat through boiler wall convection.Coal-fired Power Stations are highly efficient with very little heat loss and can generate a massive amount of energy for our needs. 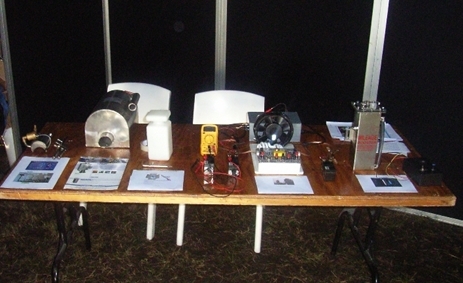 They can generate power at efficiency of less than 10,000 b.t.u. per kilowatt and cost-wise that is very low.The percentage cost of mining and freight is very low. The total cost of fuel is 8% of total generation cost and does NOT constitute a major production cost. As for being laughed out of the country, China is building multitudes of coal-fired power stations because they are the most efficient for bulk power generation.We have, like, the USA , coal-fired power stations because we HAVE the raw materials and are VERY fortunate to have them. Believe me no one is laughing at Australia - exactly the reverse, they are very envious of our raw materials and independence.The major percentage of power in Europe and U..K. is nuclear because they don't have the coal supply for the future.Yes it would be very nice to have clean, quiet, cheap energy in bulk supply. Everyone agrees that it would be ideal. You don't have to be a genius to work that out. But there is only one problem---It doesn't exist.Yes - there are wind and solar generators being built all over the world but they only add a small amount to the overall power demand.The maximum size wind generator is 3 Megawatts, which can rarely be attained on a continuous basis because it requires substantial forces of wind. And for the same reason only generate when there is sufficient wind to drive them. This of course depends where they are located but usually they only run for 45% -65% of the time, mostly well below maximum capacity. They cannot be relied on for a 'base load' because they are too variable. And they certainly could not be used for load control.The peak load demand for electricity in Australia is approximately 50,000 Megawatts and only small part of this comes from the Snowy Hydro Electric System (the ultimate power Generation) because it is only available when water is there from snow melt or rain. And yes, they can pump it back but it costs to do that. (Long Story). Tasmania is very fortunate in that they have mostly hydro-electric generation because of their high amounts of snow and rainfall. They also have wind generators (located in the roaring forties) but that is only a small amount of total power generated.Based on an average generating output of 1.5 megawatts (of unreliable power) you would require over 33,300 wind generators.As for solar power generation much research has been done over the decades and there are two types.Solar thermal generation and Solar Electric generation but in each case they cannot generate large amounts of electricity.Any clean, cheap energy is obviously welcomed but they would NEVER have the capability of replacing Thermal Power Generation. So get your heads out of the clouds, do some basic mathematics and look at the facts, - not going off with the fairies (or some would say the extreme greenies. )We are all greenies in one form or another and care very much about our planet. The difference is most of us are realistic. Not in some idyllic utopia where everything can be made perfect by standing around holding a banner and being a general pain in the backside. Here are some facts that will show how ridiculous this financial madness is that the government is following. Do the simple maths and see for yourselves.According to the 'believers' the CO2 in air has risen from .034% to ..038% in air over the last 50 years.To put the percentage of Carbon Dioxide in air in a clearer perspective;If you had a room 12 ft x 12 ft x 7 ft or 3.7 mtrs x 3..7 mtrs x 2.1 mtrs, the area carbon dioxide would occupy in that room would be .25m x ..25m x ...17m or the size of a large packet of cereal. This page features important information such as The Great Global Warming Swindle by the documentary-maker Martin Durkin. The follow up documentary "Not Evil just Wrong"and the Clincher - Global Warming or Global Governance -Interviews of climate scientists and biologists from numerous sources who explain, step by step, why Al Gore and the global warming alarmists are incorrect. In some cases, blatantly so. It also provides evidence that the global warming agenda is being funded with tens of billions of dollars as a mechanism to create global governance. All these research films can be viewed on this page. This page also provides important evidence which PROVES the HYPOTHESIS that the planet has entered a period of runaway warming CAUSED BY increased levels of CO2 is simply NOT supported by all of the real science or the data being feed to the general public. The justification for the carbon tax or cap and trade is not supported by REAL climate science. This does not mean reducing pollution is not a worth while goal. The method of reducing pollution must not create financial benefits to those feeding false climate science to the public. There needs to be no "winners and losers" based on this "model" that is not supported by scientific evidence. This page also features FREE energy technologies which could cut the carbon foot print better then any carbon tax or cap and trade scheme. There is a reason why Al Gore is being sued by over 30.000 Scientists for fraud over this issue. Here is the company Al gore setup to buy carbon credits from himself. Due to the mainstream media not focuing on the specific issue of fake climate science, suing Al Gore has simply been the only way to get the informaion out. If you research all the sources, you will find a lot more however there needs to be action to stop it. At the very least signing the petition on this page is needed. People must join together. We must not have 'All chiefs and no indians". Local community groups can form ONE committee and join together to tackle these LIES. 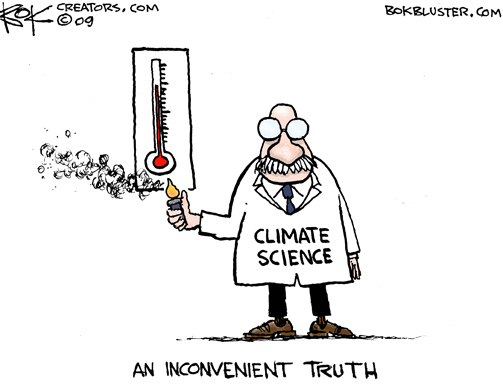 Help is needed to educate academics with 'Carbon Science Research 'to put a stop to the LIES being told about Co2 being a greenhouse gas causing global warming. If not the global warming propaganda will ensure that we get a cap and trade agenda or a carbon tax camouflaged only by a slick sales pitch and deceptive rhetoric. Al Gore and Maurice Strong, the people who own the very carbon trading systems claim they will save the earth from CO2 emissions, whilst the whole time want to enrich themselves to the tune of billions under a cap and trade scheme where they take a percentage of each transaction, the oil companies want to bypass this completely by simply imposing a direct CO2 tax. The follow up documentary to the great global warming swindle "Not Evil just Wrong" has further facts. Global warming alarmists want Americans to believe that humans are killing the planet. But Not Evil Just Wrong, a new documentary by Phelim McAleer and Ann McElhinney, proves that the only threats to America (and the rest of the world) are the flawed science and sky-is-falling rhetoric of Al Gore and his allies in environmental extremism. The film drives home the realities of that extremism. "Turn off your lights. Turn off your heat when you get cold. Turn off your air when you get hot," one man on the street says. "And then think about that. "Not Evil Just Wrong warns Americans that their jobs, modest lifestyles and dreams for their children are at stake. Industries that rely on fossil fuels will be crippled if the government imposes job-killing regulations on an economy already mired in recession. Small towns in the heartland, like Vevay, Ind., will become bastions of unemployment and poverty. Breadwinners like Tim McElhany in Vevay will lose their jobs -- and will have to start borrowing money again just to buy bread for their families. Hackers have tried to prove global warming researchers are massaging the figures - after stealing sensitive emails from one of the UK's leading climate research centres (University of East Anglias Climate Research Unit - aka Hadley CRU). The hackers released 61 megabites of confidential files onto the internet. The documents were then made available to the public from a Russian server. This interview with retired climatalogist Dr Tim Ball offers quite a useful perspective. 5) "Global Warming is over, and Global Warming Theory has failed." A newly released scientific study published by MIT climate scientist Richard Lindzen has the potential of destroying one of the fundamental underpinnings of global warming theorists. The study collected 15-years of long wave radiation measurements from a satellite orbiting the earth. The study correlates the change in the earth’s surface temperature with the change in outgoing long wave radiation. Lindzen’s study shows that as the earth warms, the amount of radiation being bounced-back into outer space actually increases. This is exactly the opposite result that is assumed to occur in the UN climate models. The UN models predict that more radiation is trapped in the earth’s atmosphere as the temperature rises. Lindzen’s findings blow a hole a mile-wide in the arguments used by global warming evangelists. There is a lost of deception regarding this issue. Intelligent investigative analysis. Joanne Nova's speech -Source.There is a lot more you could learn about REAL CLIMATE SCIENCE that might still modify your point of view. Despite this evidence, we must not divert attension away from reducing pollution. That means we need to still solve the pollution problem no matter what the impact is on global temperature. Even if the temperature stays the same for the next million years, CLEAN is desirable compared to dirty. The goal is reducing global pollution as fast as humanly possible. And possibly offering tax advantages for voluntarily reducing emissions.Plus it is actually PROFITABLE to reduce emissions by various ways, Coal plants, etc can reduce emissions while increasing their output. The propaganda by the mainstream media and politicians doesn't want this concept to be focused on because it would bring out technologies that in the long term actually do lead to energy independence from Industry. Regardless of the causes of climate change or whatever that change happens to be, there remains neglected, clean, independent, renewable energy technologies which are REAL sollutions. An awakened consciousness that can appreciate them is needed for a sustainable future. The government plans to use carbon tax in an attempt to solve these issues. Despite the contray evidence for doing this, the public still wants to breathe clean air, and clean energy technologies are needed so that we can decrease global health issues due to serious pollution, destroying the quality of our water ways and air by those not being held accountable. The following is one example of fuel saving and pollution reduction technologies which can do this. Please help and forward this information to any body who can help. The following page lists commercial FREE energy devices which have NO carbon footprint.These are not wind, wave or solar.Ask your selves why isn't there an incentive plan to change over to these technologies, why is there a carbon tax or cap trade plan in its place? The plush new headquarters of the Department of Climate Change in Canberra / The Daily Telegraph Source: TAXPAYERS will pay $90 million a year to keep 408 public servants employed in the Federal Climate Change Department - despite most of them now having nothing to do until 2013.More than 60 of them are classified as senior executive staff on salaries between $168,000 and $298,000 a year. The devices we mention are responsible technologies being developed by responsible people who want a responsible world. The same can offshoot to healing alternative medicine technologies, the list is endless. Please call, write and email all your state representatives ASAP and shoot down this Copenhagen Treaty. Google Video -Global Warming or Global Governance? -In the past few years, a hurricane has engulfed the debate about global warming. This scientific issue has become a rhetorical firestorm with science pitted against spin and inflammatory words on both sides. This documentary shows how fossil fuel corporations have kept the global warming debate alive long after most scientists believed that global warming was real and had potentially catastrophic consequences. It shows that companies such as Exxon Mobil are working with top public relations firms and using many of the same tactics and personnel as those employed by Phillip Morris and RJ Reynolds to dispute the cigarette-cancer link in the 1990s. Exxon Mobil sought out those willing to question the science behind climate change, providing funding for some of them, their organizations and their studies. 2) John coleman is the founder of the Weather Channel, the original weatherman on Good Morning America and now the lead meteorologist here at KUSI-TV. YouTube - Opposition to man-made climate change: We want proof! Is the Earth Getting Cooler?